The Campfire Going On The Road? 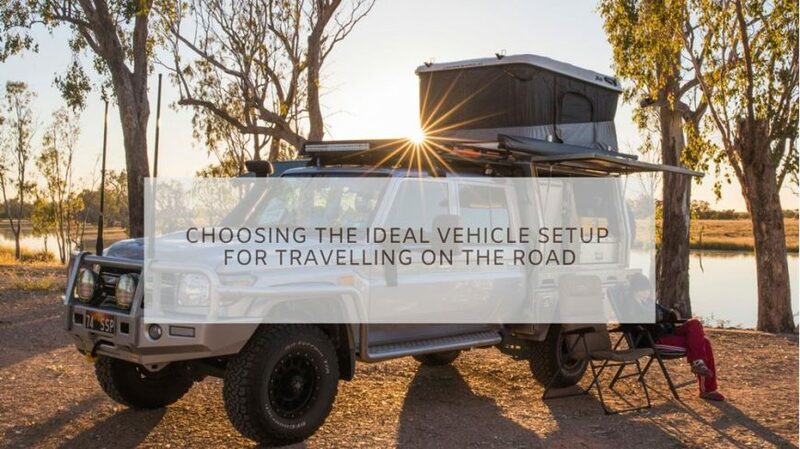 What’s Your Ideal Vehicle Setup For Travel? If you’re going travelling, you’ll quite obviously need a vehicle and some camping gear. But what? A caravan, camper trailer, camper van, dual cab ute with a rooftop tent, 4WD wagon with a roof basket, ute with a custom-built canopy? Or maybe a luxurious motorhome is more your thing. The choices are endless. Every supplier or manufacturer wants your business, and it’s easy to experience information overload. We’re often asked, “What’s the ideal camping setup if I want to travel off-road/on-road/with my ferret/full-time/to Cape York/with my grandmother?” or combinations thereof. Our answer is always the same. Whatever suits you. And it’s true. Everyone has different needs and wants. We chose a 4×4 truck and slide-on camper. But first, we did our research. We figured out how 4WD-capable our vehicle needed to be, the overall cost and how this fit our budget, what accessories we wanted to bring, what level of comfort we wanted, whether we wanted to be constrained by towing anything (the answer was no) and, we estimated how long we wanted to keep it. Our truck camper. Ideal for us, but it’s not for everyone. This is our ideal camping setup. But your choice will most likely be different. So how do you decide what’s suitable? Here’s a few things to help you decide. Are you travelling alone, as a couple or with a family? This will strike off a few options straight away. For example you don’t want to be camping in a rooftop tent full-time with a family of 5, unless you’re completely crazy! Or setting up a giant soft-floor camper if you’re travelling alone on a three-week road trip and moving every day. 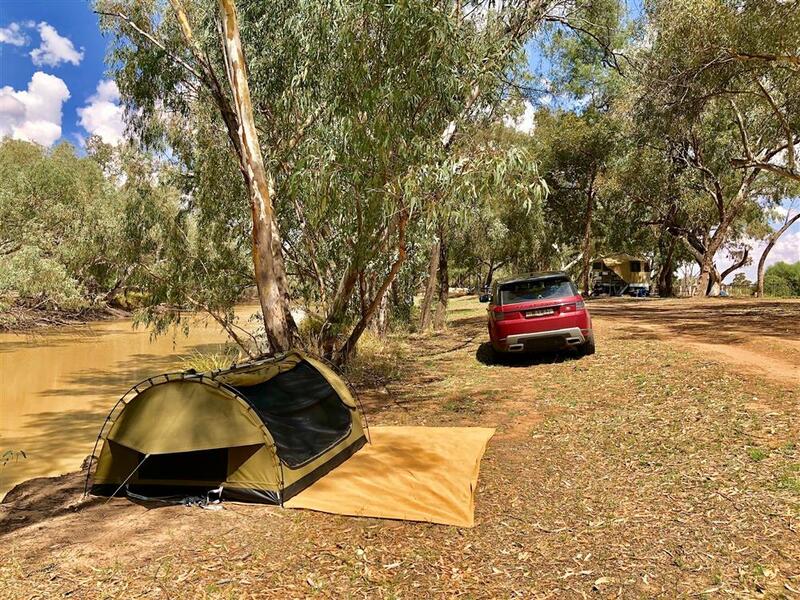 Will you be staying on the blacktop or taking on outback tracks? Off-road travel will eliminate a huge swathe… nearly all camper vans and most caravans. What do you absolutely need to take, what is non-negotiable? Often when you go through items one by one, you’ll find most things aren’t essential. However, some things might take you by surprise. We travelled Oz with our two kids for 12 months in 2009-10. They were both doing Distance Education. Even with most lessons online, we still needed an old suitcase packed full of school things… books, art equipment, stationery and office supplies. Not only was this ridiculously heavy, it also took up way more space than we had anticipated. Unfortunately, we hadn’t allowed for this. A few days of hard-nosed negotiations ensued between desperate parents and stubborn kids, as we figured out what would be left behind to make room for our mobile classroom. What about all the toys? Do you want to take bikes, a trail bike, a side-by-side, kayaks or canoes? If so, where will you store them? If you have room for some toys, great. If not, they may have to stay at home. You and your partner or family might have vastly different opinions on what is essential. It’s often easier for two warring countries to negotiate a binding ceasefire than it is for a family to agree on the “essentials”. Dad might be insisting the family only needs a groundsheet, a fishing rod and a good dose of rat cunning. You know, like a survival challenge. Mum will likely be more sensible and add “luxuries” like cutlery and food. The kids will no doubt paint a picture of mental scarring for life if they don’t have uninterrupted access to social media. Unfortunately, there’s no easy answer here. You just have to remain strong and keep smiling as the negotiations continue. Just try to keep your setup simple. Only take what you really need. Anything else will take up space and add more weight. Swags are brilliant. There aren’t many better things in life than gazing at the stars as you fall asleep in your swag. Be realistic though. What do you do if it rains for days and your swag sinks into the mud? Then after the rain stops, giant man-eating mozzies swarm into your campsite at dusk. You can hardly disappear into your swag late afternoon and not emerge until daylight day after day. Just one vehicle and a swag, one of the simplest ways to travel. What I’m getting at is, think carefully about what sleeping arrangements are most suitable for all concerned. The “right” vehicle doesn’t exist. I might think you should get one type of vehicle, but you might prefer something completely different. And your partner might prefer something else altogether. Think about what roles your vehicle will need to fill. Maybe it’s a work vehicle most of the time, only venturing off road once a year. Or you might have decided to travel full-time, in which case you may need a powerful tow vehicle. And while vehicle marketers sell the dream of freedom coupled with the ability to go anywhere, think about what role you really need your vehicle to play. What’s the point in buying a 4WD if you never intend to leave the bitumen? Is there such a thing as an ideal camping setup? Probably not. There are always compromises. However, you can get close by doing your research up front. Narrow down your choices and be prepared to compromise. Everyone is different… everyone has different needs and wants. Be confident in your choices. Most importantly, get out there and enjoy our beautiful country!